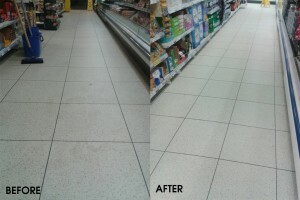 Beaver Floorcare were engaged through the flooring manufacturer Relay Floors to perform a Deep clean and restore the vinyl interlocking tiles to their former glory. 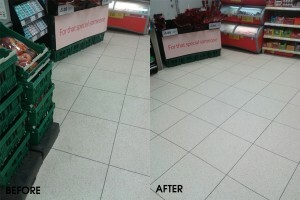 The onsite cleaning contractor was unfortunately not delivering the desired standards for the store manager and the expected high level of appearance. 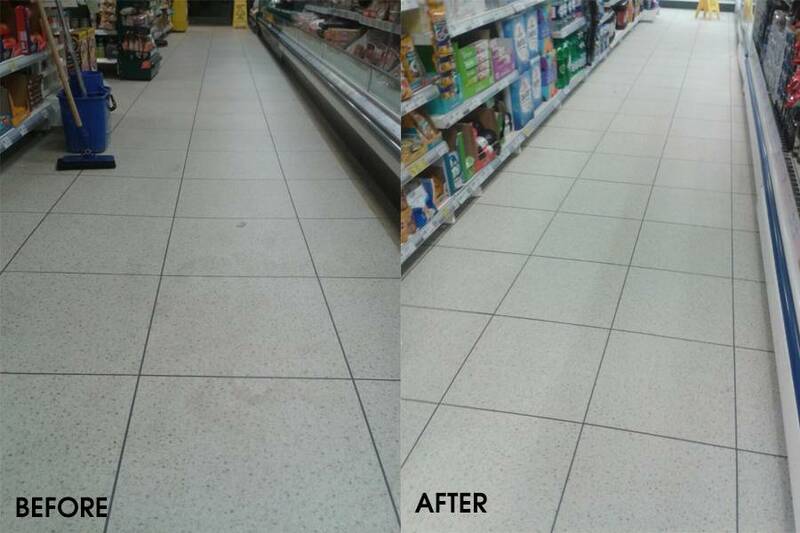 As a specialist floorcare contractor we are utilised by many flooring manufacturers to demonstrate how their flooring should be maintained, this is beneficial for all parties on what the levels of appearance are achievable on a regular basis. 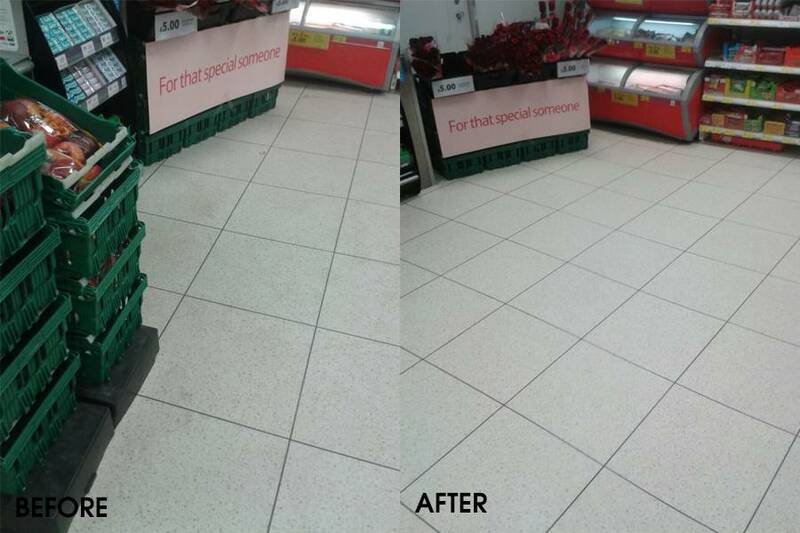 Using an fimap imx scrubber drier, red pads, an alkaline cleaner and a polymer maintenance product we deep cleaned and extracted the dirt from the floor first, before the polymer was applied to enrich and protect the floor surface. If you are looking to engage our contracted floor maintenance services throughout your facilities we can provide you with quotations for a 1 year, 3 year or even a 5 year contract. You will then have absolute peace in knowing that your flooring will keep its original appearance for longer, perform correctly and maximise its longevity.